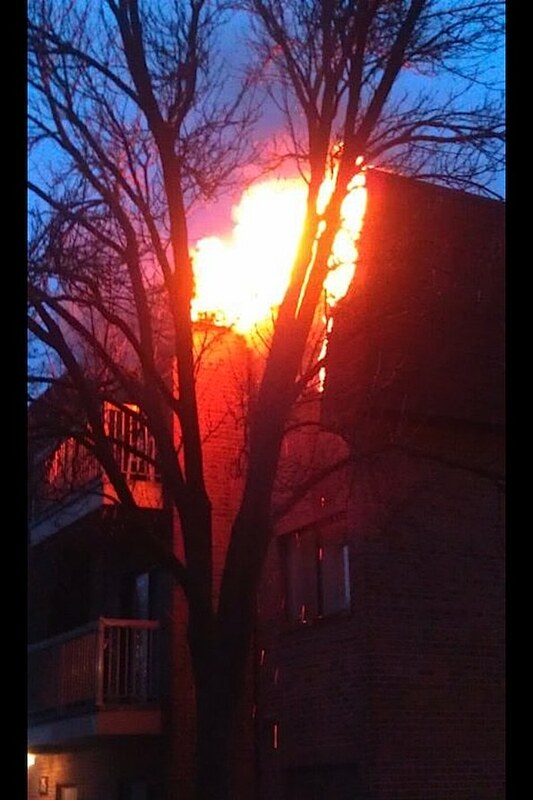 Fire through the mansard roof, just as Mount Prospect firefighters arrived about 5:25 p.m. Monday at a Central Village Condo building [Photo Credit: Jordan Fedro]. Mount Prospect police and firefighter/paramedics responded about 5:22 p.m. Monday to a report of smoke in the hallway at Central Village Condos, 715 West Central Road. First firefighters on the scene reported heavy smoke in the area — as they approached. Firefighters immediately called for mutual aid from Arlington Heights, Des Plaines, and Elk Grove Township. Firefighters called for a MABAS Box Alarm as they reported fire through the roof at about 5:35 p.m. The response brought equipment from Elk Grove Village, North Maine, Prospect Heights, Palatine, and more equipment from Arlington Heights. Staging for fire equipment and ambulances was across Central Road at Hines Lumber. Firefighters reported the building was evacuated about 5:43 p.m. One person was reported rescued from a balcony. The fire was concentrated in the mansard roof in the southeast corner of the building. The fire was limited to one condominium unit, and was reported knocked at about 5:51 p.m.
One minor injury to a firefighter was reported, but the firefighter was released from the hospital by 9:00 p.m. Mount Prospect CERT warming bus was on the scene, and was assisting residents that were displaced from the building. Central Road was blocked in both directions between Busse Road and Northwest Highway. 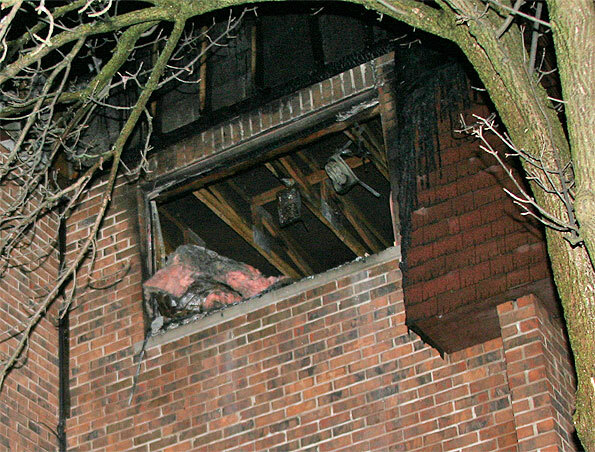 Fire damage at Central Village condo. 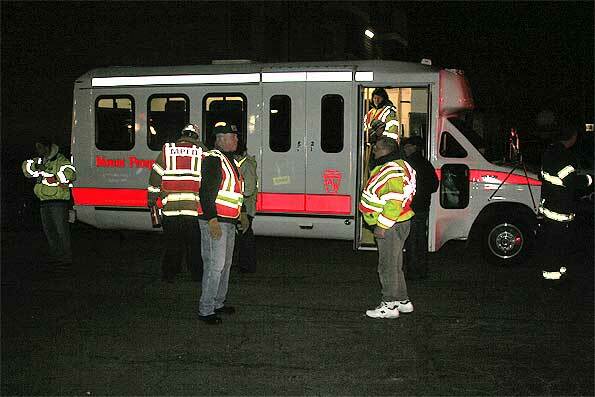 CERT warming bus for displaced residents from 12 condo units.